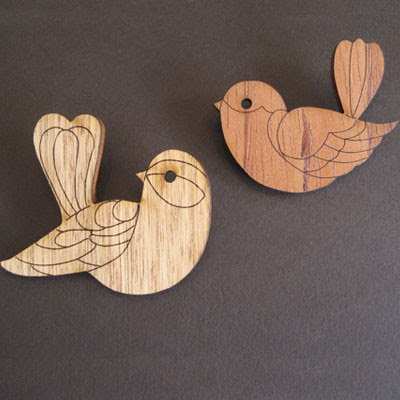 The birds trend has been around for ages, and even though I’ve been on that bandwagon myself (this kind of thing), itâ€™s starting to wear a bit thin for me. 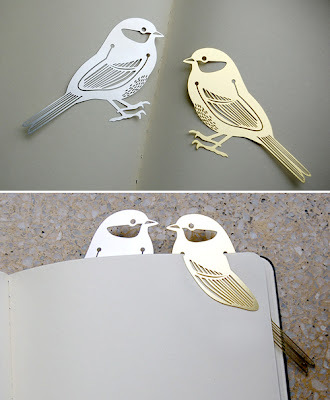 This delicate lasercut “birdmarker” is by designer Hung Ming Chen, and can be found at his website hommin. (via Style-files). 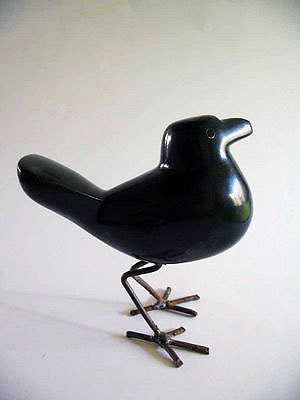 I found this Japanese Cast iron bird paperweight at the Curiosity Shoppe. The shape is so charmingly simple. Nambu-tekki is the Japanese word for cast iron, and this traditional Japanese craft dates back to the middle of the 17th century. 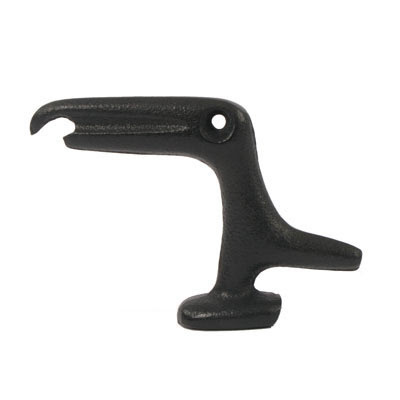 Another example of Nambu-tekki is this bottle opener from online shop Canoe. I bought one of these for my husbandâ€™s birthday in June. Itâ€™s dual-purposed in that itâ€™s beautiful, and also makes drinking beer lots more fun! It fits in the hand really nicely too. 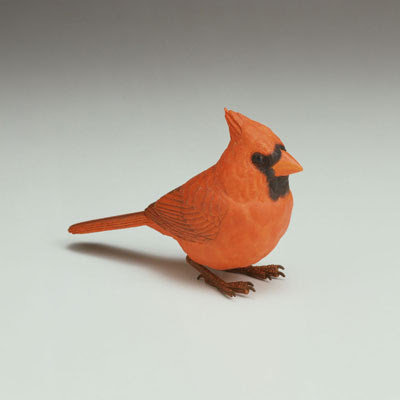 Also from Canoe, and also from Japan, come these vaguely creepy battery-operated singing birds. 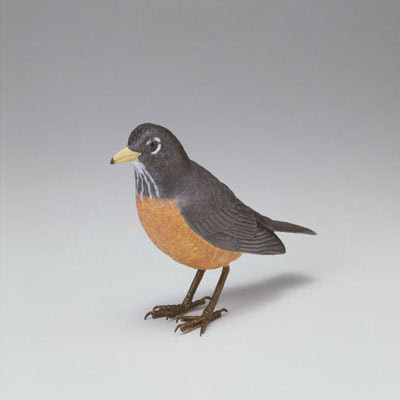 Theyâ€™re based on scale models by a University of Tokyo ornithologist, and embedded microchips cause them to move their tail and head in a lifelike way, singing songs taken from recordings from the Cornell Lab of Ornithology. My cats would shred them in an instant! Somewhat more portable, this lasercut Bird Brooch by Australian clothes designer Beci Orpin of Princess Tina can be found at Rare Device. And something for the locals! In July this year, I bought this little stone bird by Benard Nkanjo from the Park Bench Gallery in Cape Townâ€™s Kloof Street. I was there again this week, buying a whole bunch more (shh, Christmas presents!). In fact, there arenâ€™t many left, so hurry! Now, I I’m off to Birds Cafe for lunch.